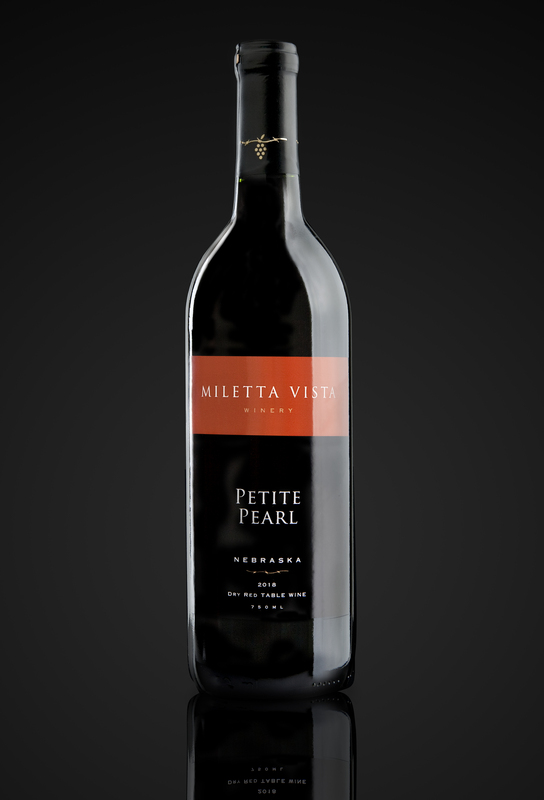 Lightly oaked, tannin rich, full bodied Petite Pearl proprietary blend. This Nebraska Red, displays aromas of ripe blackberries, roasted herbs, cedar, violets, blackcurrants, spice. It’s a smooth, supple dry red wine with a deep ruby color.